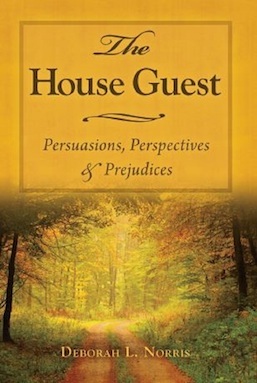 The following is the official onlinebookclub.org review of The House Guest by Deborah L. Norris. 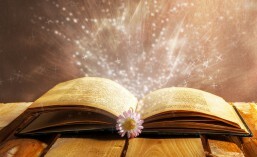 Books have a unique way of whisking readers away to a world full of action, adventure, mystery or suspense. What many folks (myself included before this one) aren’t so aware of is that books can also teleport us to laid back, peaceful times as well. While The House Guest by Deborah L. Norris starts off with quite a literal bang, it’s largely filled with good conversation between even better friends. Deborah takes us to Tilden, Nebraska in the late 1950s to see Maggie Davis, her 9-year-old daughter Jenna, her best friend and neighbor Lee and all the folks who come to visit. Maggie is a widowed, single mother who owns and lives in her own bed and breakfast. Her neighbor and best friend, Lee, is a frequent visitor and always quick to speak her mind, particularly when freeloading Fred repeatedly takes advantage of Maggie’s generosity. Lee also happens to get the good gossip, and between that and her opinionated, quick-to-speak ways she livens up the pages. It isn’t long until a third woman, Anna, becomes a regular of the home. She has a surprising past and a quick-wit that even puts Lee in her place. Despite the banter the three are best of friends and Maggie’s home becomes a place not only for them but for us as well. While there are a few plot twists and moments of suspense (particularly toward the end), the majority of the book is much more like pulling up a seat at Maggie’s dinner table, enjoying a good conversation. While this is rather enjoyable, it did make me take much longer with the book as I never really felt compelled to keep reading. Most books have me wanting to know what will happen or how the main characters will survive, but with The House Guest I never felt that desperate urge to continue on. That isn’t to say I never became attached or that I don’t miss it now that it’s over, however. The writing is solid, as is the editing, and the characters all feel very genuine. The conversations between Anna and Lee are especially hilarious in a way that reminds me of Pride and Prejudice in a more current-day setting. Jenna is a sweet, adorable girl and while Maggie doesn’t partake in dialogue as much as the others she’s still a very solid character. The rest of the cast is great as well and scenes are set wonderfully. Deborah also has an original quote at the beginning of each chapter. While many original quotes try to sound smart or fancy and often fail, Deborah’s are all very solid and fit the theme of the chapter perfectly. My biggest wish was that there was some sort of antagonist throughout more of the book. There are a couple times that bad things happen thanks to a bad person (a real jerk! ), but because it’s so rare I was never hooked. If there was something that would’ve kept my attention – perhaps a wicked mayor or some sort of mystery, or even if more focus was given to a conspiracy that was hinted at within the book – this would easily have been a four star book. While I can’t rate a book that I wasn’t dying to keep reading a perfect four star rating, the fantastic setting and characters definitely make it worthy of 3 out of 4 stars. Especially for this being Deborah’s first novel, I’m excited to see what she’ll do next! I can’t really recommend the book to those who need action, mystery or suspense in their books, but for those who want to spend a good ol’ time with Maggie and her friends and family I can’t recommend the book enough. The fact that the book includes some romance but never got vulgar or explicit was the icing on the cake! The kitchen table. In my family, it was here that important discussions had their genesis. Opinions were readily expressed on religion, politics, family values, money matters, raising children, taking care of the elderly, education, social responsibility and death. Typically, the children listened, and the adults talked. That said, at a very young age I had a clear idea of the persuasions, perspectives and prejudices of those who sat around the kitchen table with their cups of strong, black coffee. Occasionally, discussions were heated, and tempers flared. For emphasis, there was an occasional smack of the hand on the table top. But, at the end of the day these same strongly opinionated kinfolk showed their unending love and respect for each other with hugs, kisses and goodbyes – until the next spirited visit took place. 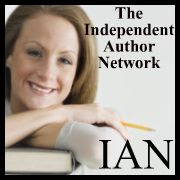 Great narrators, such as the likes of Maria Hostage, make a story come alive and allow you to transform your commute, workout, or chores into enjoyable listening times. The House Guest is now available in audio edition through Amazon’s Audible. You’re sure to enjoy the pleasant and animated voice of actress Maria Hostage as she narrates The House Guest. Travel with her to 1950s Nebraska and follow the many delightful characters in this heartwarming story.